How do you convince an entire country to care about something that might not affect them… yet? 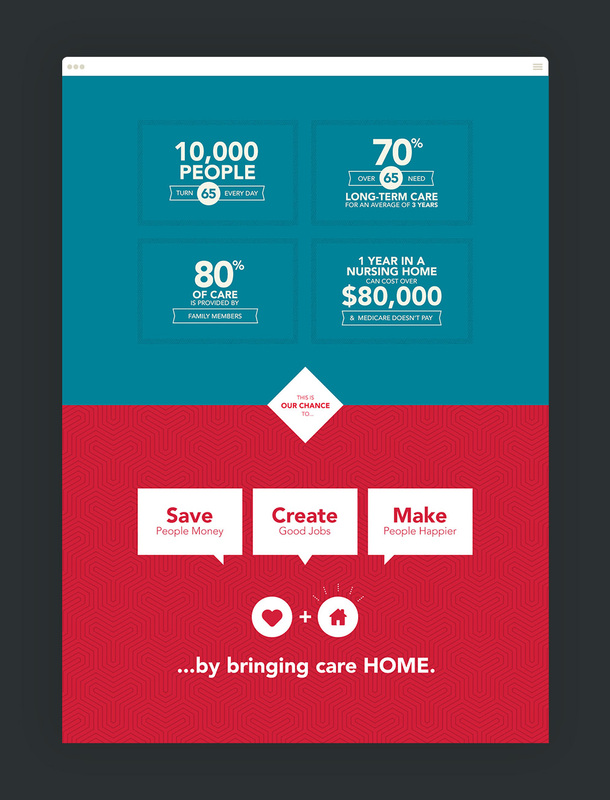 Caring Across Generations wanted to tell a story centered on the people at the core of caregiving. Our task? To deliver a refreshing rebrand (new logo! new color palette!) that would make policy agendas hit close to home and help people understand how today’s care involves everyone. We wanted the site to speak to people of all ages and backgrounds so we made them the face of the movement. We put a spotlight on real-life stories to infuse a seemingly distant issue with relatable, human experiences. With an issue that feels larger than life, figuring out where to help can be difficult. 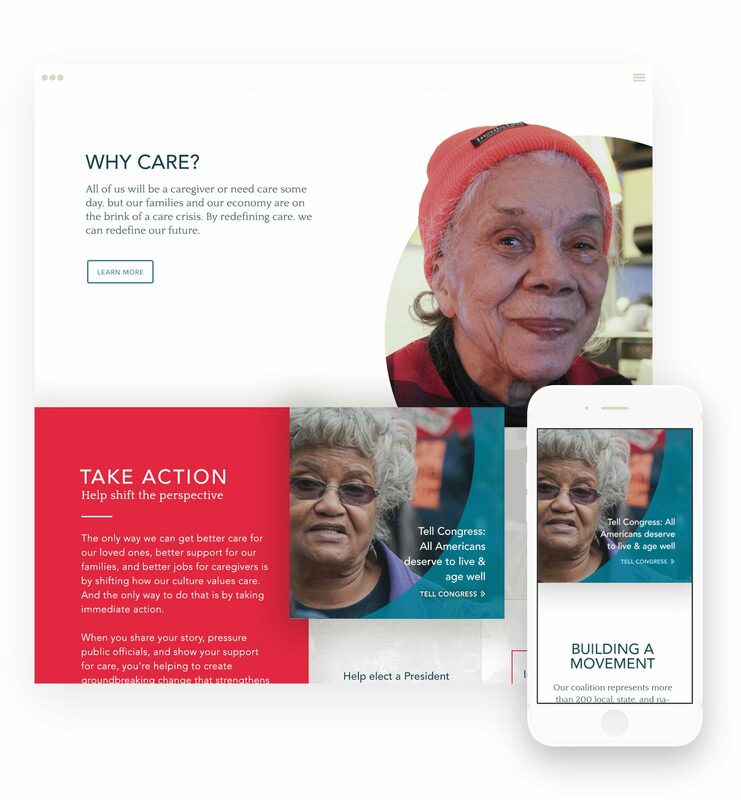 We wanted to make it easy for anyone to get involved - whether by sharing their story or signing a petition - so we put a clear, simple call to action on every page. We incorporated a design structure that gives the feeling of movement, mirroring Caring Across Generations’ shift in the culture of care. 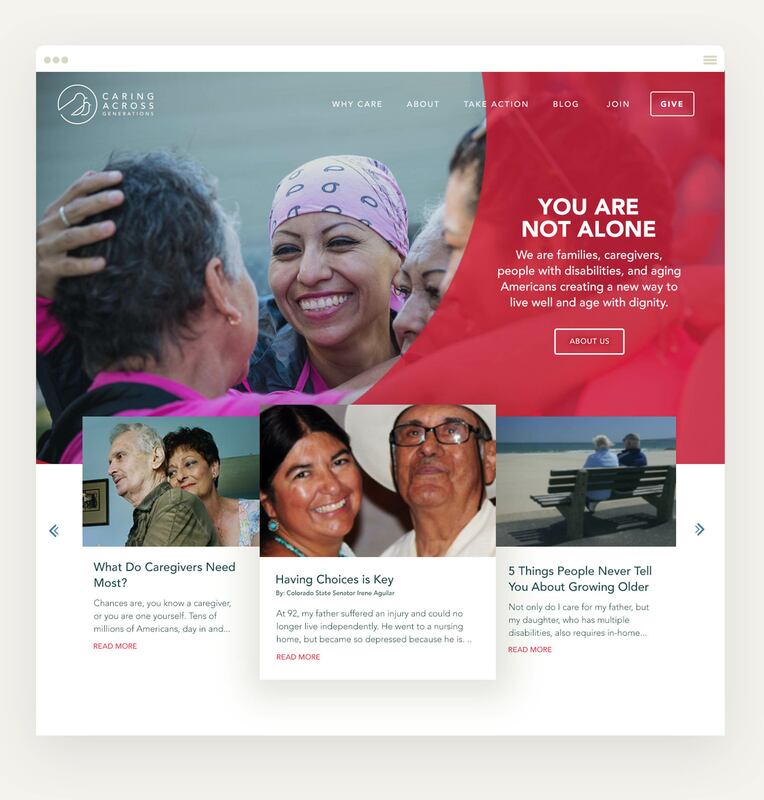 Then we used bold styles, colors, and patterns with strong statistics and testimonials for a stunning, new perspective designed to answer one question: Why care? 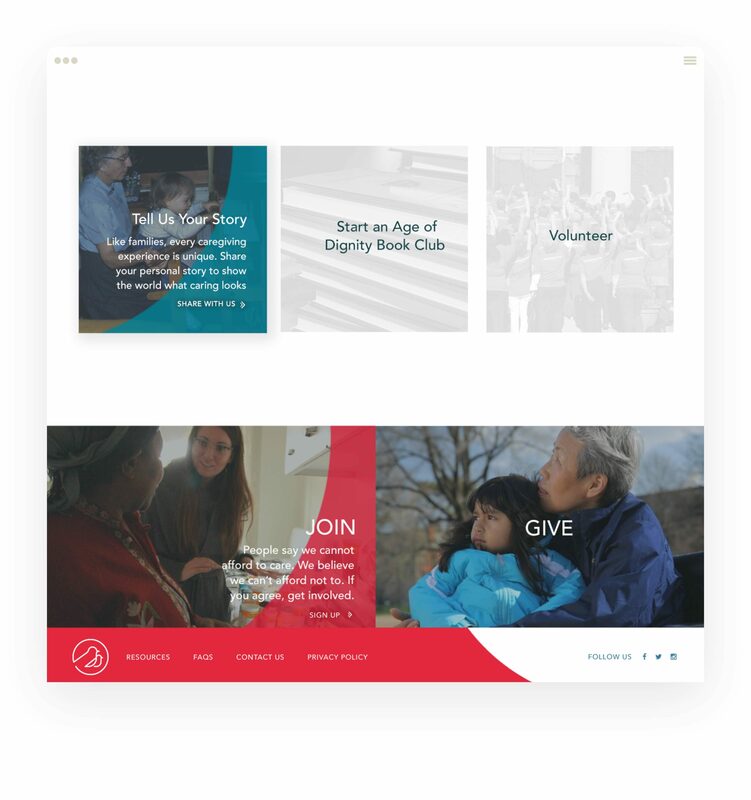 Taking a cue from the redesigned logo we created for them, we emphasized connectedness by incorporating circles within images and on hover throughout the site. The curved overlay brings the human aspect into focus and softens images alongside powerful and sometimes startling messages. On this project we focused on accessibility, knowing that part of the demographic is older. Although this was a huge focus, we still had fun with the project by incorporating animation throughout the site.